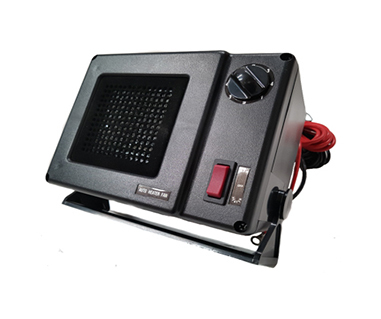 Compact Ceramic Cab Heater. Ideal for use in Coaches, Trucks, Tractors, Horse boxes etc. Easily mounted on Floor or Dashboard. Avoid continual use when engine not running, as could flatten battery.